Frontier Country Marketing Association will debut its popular Trips on a Tank Full coupon brochure just in time for spring break. The free Trips on a Tank Full coupon brochure offers special discounts to tourist attractions, restaurants and hotels around the 12 central counties of Oklahoma, known as Frontier Country. The 2012 Trips on a Tank Full campaign will kick off Monday, March 12 in El Reno and continue through March 16 in various cities of Frontier Country, like Oklahoma City, Shawnee, Norman and Stillwater. Frontier Country Marketing Association will leave a suitcase at one member attraction in each of these cities filled with attraction tickets, a hotel stay and other items essential for a fun spring break in central Oklahoma. Clues to find the suitcases will be given on the association’s Facebook page at facebook.com/FrontierCountry. Frontier Country Marketing Association will also be at the mystery location each day handing out the free Trips on a Tank Full coupon brochure. Coupons offered in the free Trips on a Tank Full brochure include discounts at attractions such as Frontier City, White Water Bay, National Cowboy & Western Heritage Museum, Sam Noble Museum, Andy Alligator’s Fun Park, Gaylord-Pickens Oklahoma Heritage Museum, Oklahoma History Center, Jasmine Moran Children’s Museum and lodging discounts at the Wyndham Garden Hotel in Oklahoma City and many more. To participate in the 2012 Trips on a Tank Full campaign and to follow the clues about how to win a Trips on a Tank Full spring break getaway in central Oklahoma, March 12-16, visit facebook.com/FrontierCountry. The 2012 Trips on a Tank Full coupon brochure is also available for request online at oktourism.com or by calling (405) 232-6552. Central Oklahoma Frontier Country features Route 66 sights, world-class museums, amazing art displays and performances, exciting sporting events and hundreds of family-friendly festivals and events for all ages to enjoy this spring break. Frontier Country Marketing Association, a 501-c6 organization, promotes the economic growth of the tourism industry in the 12 central counties of Oklahoma. 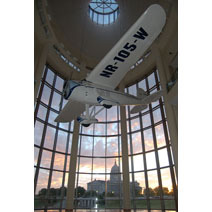 For more information, visit www.oktourism.com or call (405) 232-6552.